Taronga Western Plains Zoo accommodation, Zoofari lodge lets you get up close to the African Savannah without leaving Australia. 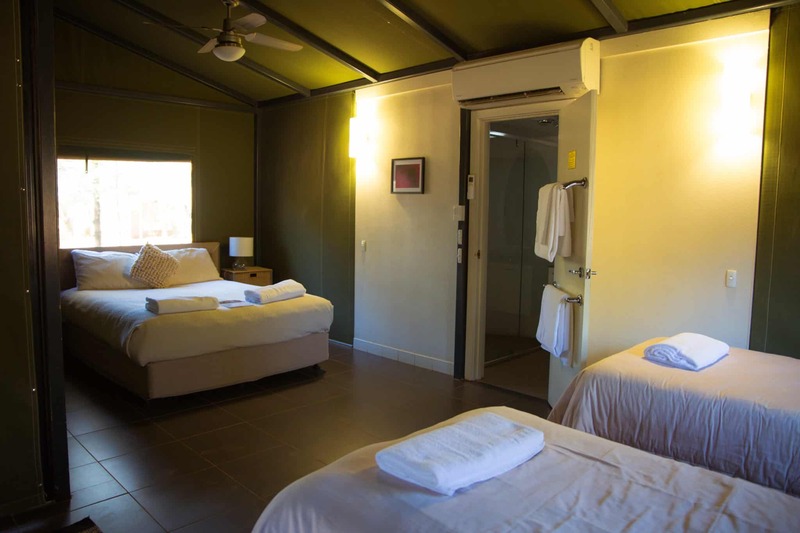 Zoofari Lodge at Taronga Western Plains Zoo in Dubbo is luxury accommodation with a twist. Watching the sun break in a splash of pink while seeing giraffes casually stride past. Having the hairs stand up on the back of your neck from a primitive reflex when you hear a lion’s throaty rumble during the night. 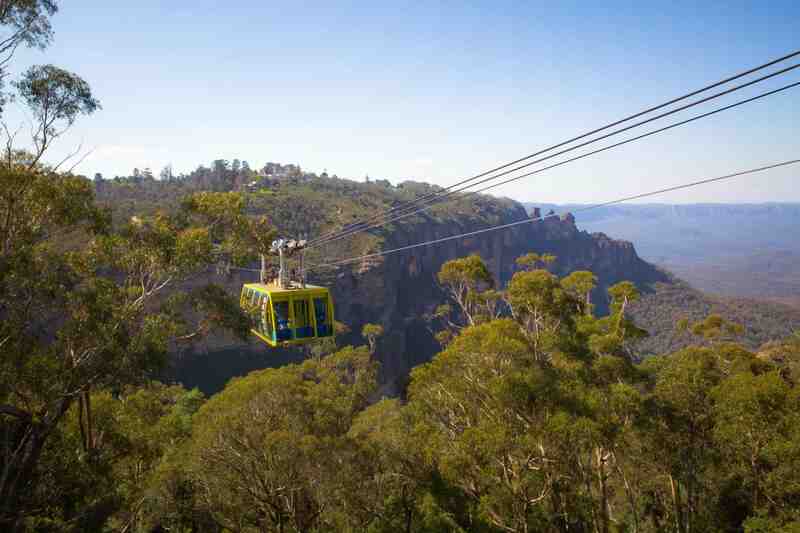 These aren’t experiences you would usually associate with Australia. 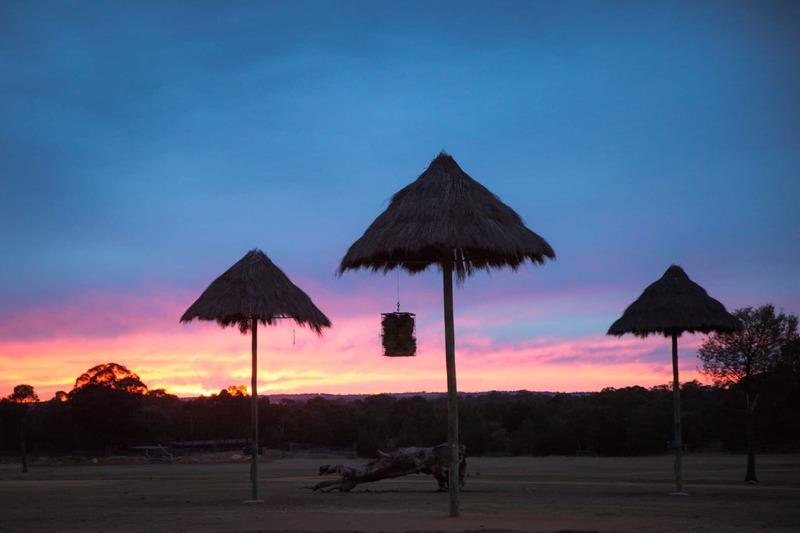 Dubbo zoo accommodation packages are changing all that. 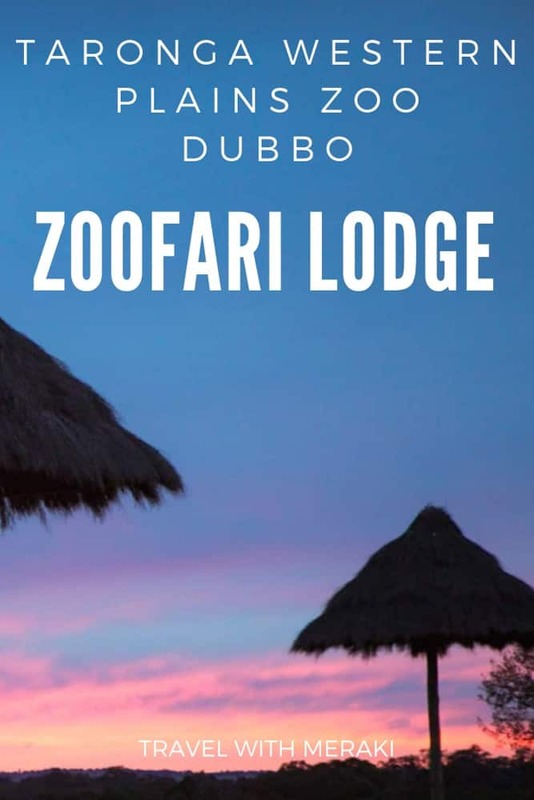 A safari in Africa may be out of your price range but an experience at Dubbo zoo overnight, in Zoofari Lodge is the chance to get as close the amazing African Savannah without going too far from home. Named ‘Home of the best unique accommodation in Australia’ for the second year running, as soon as you arrive at Zoofari Lodge the staff and facilities make you feel welcome and awed all at once. Discover our latest adventure at this in-zoo experience. Check-in for accommodation is from 2 pm. 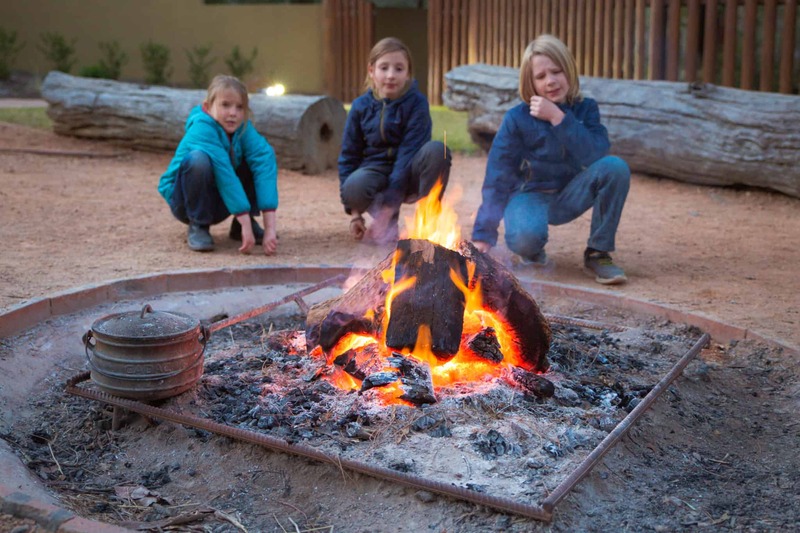 However, part of the Zoofari Lodge package is two full days entry into Taronga Western Plains Zoo which includes Dubbo zoo bike hire. 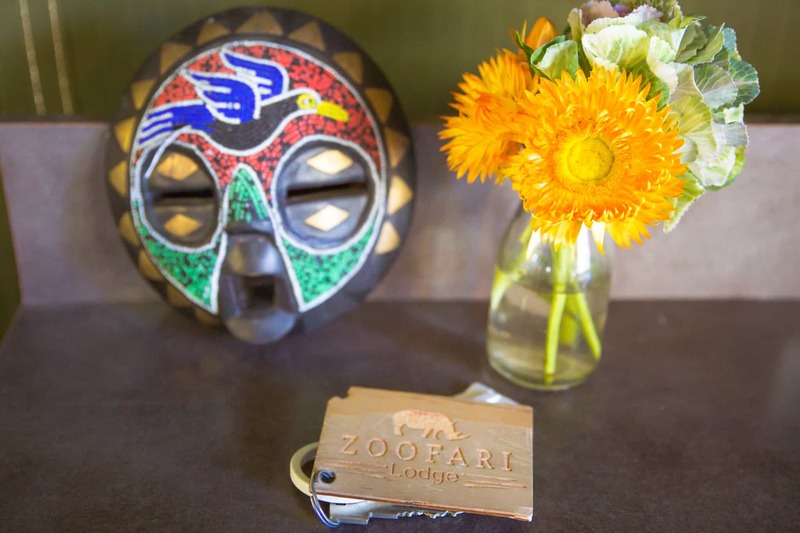 This gives the option of arriving early on your first day and enjoying the morning at the zoo before exploring your accommodation at Zoofari Lodge. 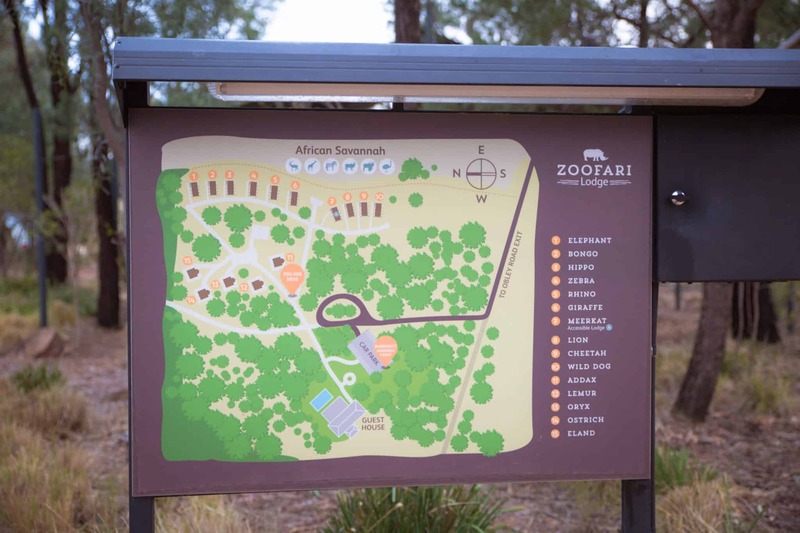 Be sure to head directly to the main Taronga Western Plains Zoo reception desk at the Savannah Visitor Centre when you arrive at the zoo in Dubbo. Here you will be given your check-in information and package details. Also included in your stay is a whole bunch of Taronga Western Plains Zoo discount voucher. This includes a 10% discount on Animal Encounters, 10% discount at the Zoo’s Souvenir Shop and 10% discount voucher for Bakhita’s Café. So be sure to take advantage of these offers during your zoo visit. To enter Zoofari Lodge you will need to leave the main entrance to the zoo. You enter the accommodation area via a private road just a short drive away. As we drove through the electric gates the children got excited about what could possibly be behind them. As soon as we arrive we are met at the car by a staff member who assigns us our cabin for the stay. We officially become the Addax Family ( which in case you are wondering is an Antelope with spiral horns and sadly there are only 100 individuals left in the wild). 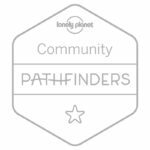 We discover exactly what exciting adventures are in store for us during our stay. The guide tells us our first experience, a behind the scenes tour in the afternoon will be soon. 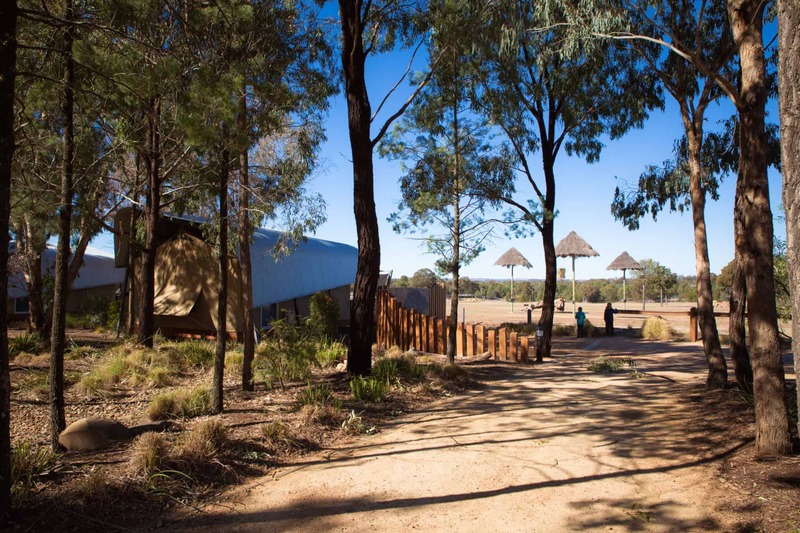 With three children in tow, we head to our Bushland View Lodge. Just a short stroll to the African Savannah and sleeping up to six people. For smaller groups up to four people, the Animal View lodges are available. This is as close to an african safari lodge as you can get in Australia. Surrounded by bushland with earth paths between destinations you are immediately put in the safari mood. The feel is complete once you step inside your western plains zoo accommodation with canvas walls and the window covers rolled up to capture the tree views. With a queen bed, two singles and a sofa bed there is plenty of room for the five of us. There is a private ensuite, fridge, mini-bar, coffee and tea making facilities as well as an outdoor area with table and chairs. All bedding, linen and towels are provided. There is also reverse-cycle air conditioning which we make full use off during the cool night. As much as the luxe glamping style of accommodation appeals the pull of the African Savannah is much stronger. We take the short walk to get our first glimpse of where giraffe, ostriches, and eland roam freely. We drag ourselves away from the Savannah animals for our first tour. The children make sure they are first on the purpose-built Safari tour bus and sitting right up at the front. The bus has open sides so we can see all the animals go past as we head along on our special experience and our guide tells us stories and facts about the zoo and its animals. Our first stop is to the hippos. We watch Cuddles come up to crunch on a whole lettuce with her gorgeous calf Kendi. 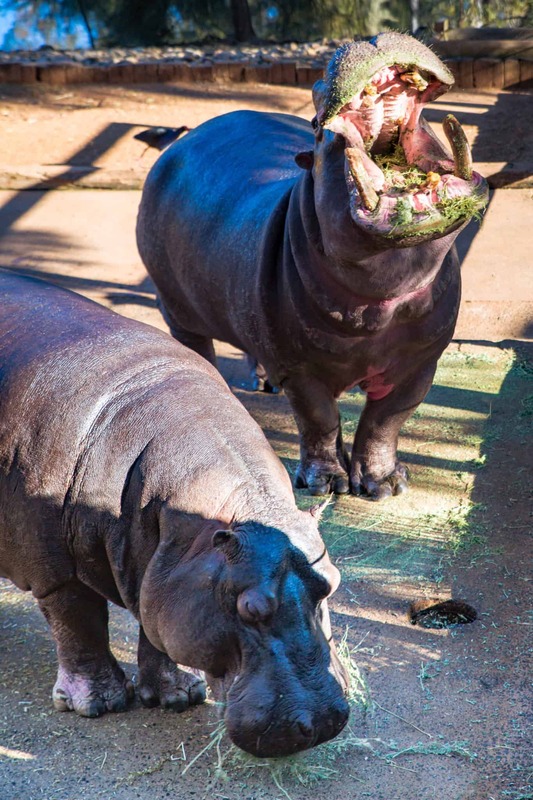 Meanwhile, a keeper is feeding some of the other hippos and showing us how they check the hippo’s teeth. We also learn about the poo-copter, where the hippo will spray poo everywhere with its tail to mark its territory. Of course, the kids think this is hilarious. During the tour, we also visit the Black Rhinos, lions, and elephants. We see the animals being fed and show how enrichment toys filled with food help to keep the animals stimulated and healthy. Our guide answers lots of questions and tells us about the conservation efforts at the zoo. We come away from the tour knowing we have got to experience something unique to many other visitors to the zoo and with so much knowledge on the animals we saw. 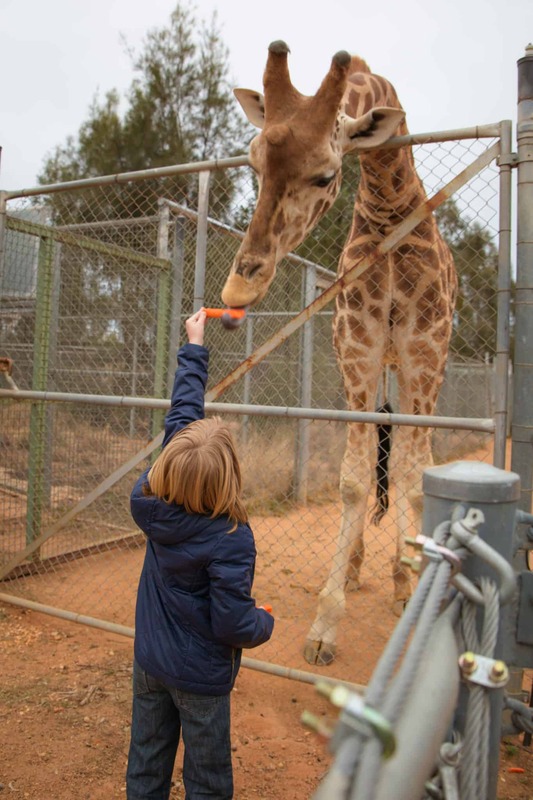 To learn more about the amazing conservation efforts at Taronga Western Plains Zoo click here. After our afternoon tour, we head up to the gorgeous Zoofari Lodge Guest House for African style canapés and wine tasting. The children are excited to try crocodile meat for the first time while we all enjoy relaxing in front of an open fire after such a busy and exciting day. The boys battled it out in chess while my daughter enjoys colouring in some beautiful African inspired pictures. It is a little chilly to take a splash in the saltwater swimming pool so we soak in the luxe atmosphere of the lounge room instead while other guests enjoy cocktails at the bar. 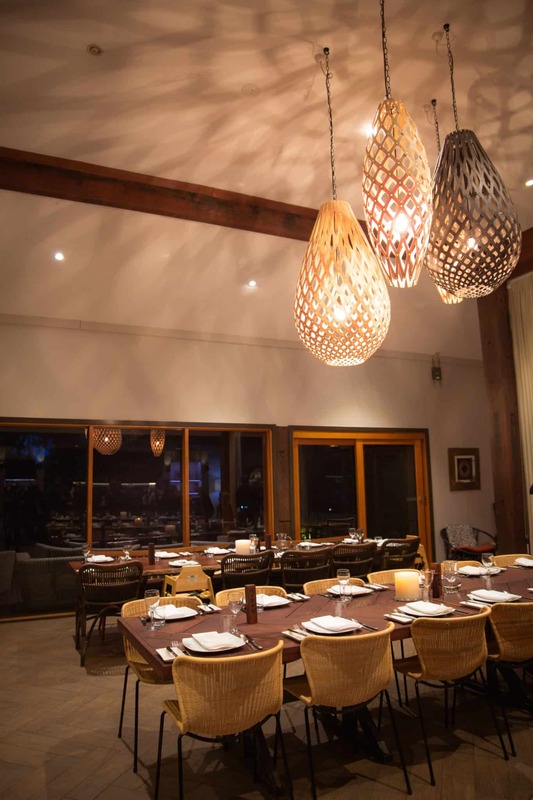 When the exclusive Zoofari Lodge chef comes out to tell us all about the African style banquet dinner and the Zoofari lodge menu she has prepared for us we know it is going to be delicious. Platter after platter is served to us of tasty and exciting dishes. With a variety of meats, fish and vegetables there is something for every taste. Staff are always nearby asking if we need more food and replacing empty dishes with full platters. Drinks are also on offer from the licensed bar. All this amazing food is included in the Zoofari Lodge package with drinks at a reasonable extra cost. The children are happy with their ice-cream and topping dessert while we enjoy crepes and chocolate torte. Sitting with other families who have enjoyed the tour we can tell that everyone is having such an amazing experience. We are all looking forward to the early morning tour the next day. After enjoying such a scrumptious feast we stroll ( roll?) back to our safari tent to get some sleep for tomorrows 7 am start. Exhausted from all the fun and adventure of the day we collapse on the luxurious beds. We fall asleep amongst the peaceful bush and the occasional sounds of the nearby animals. Waking up refreshed and buzzing to see the sunrise over the Savannah, we leave our accommodation early and take the quick walk to the Savannah look out. The sky is painted pink and red with Eland and even a mob of kangaroos making silhouettes against the morning colours. The perfect way to start another exciting day. 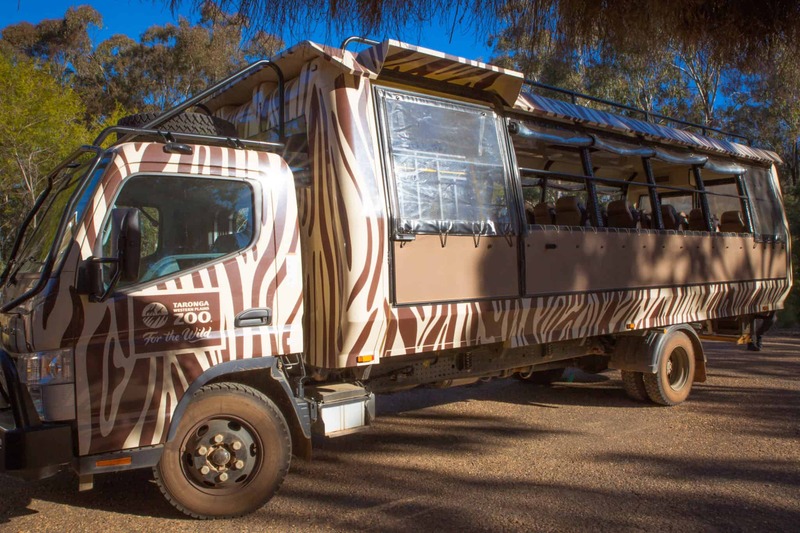 Our three are perhaps even more eager to get on board the safari bus this time to explore before the public Dubbo zoo hours as they knew what sort of adventures to expect. 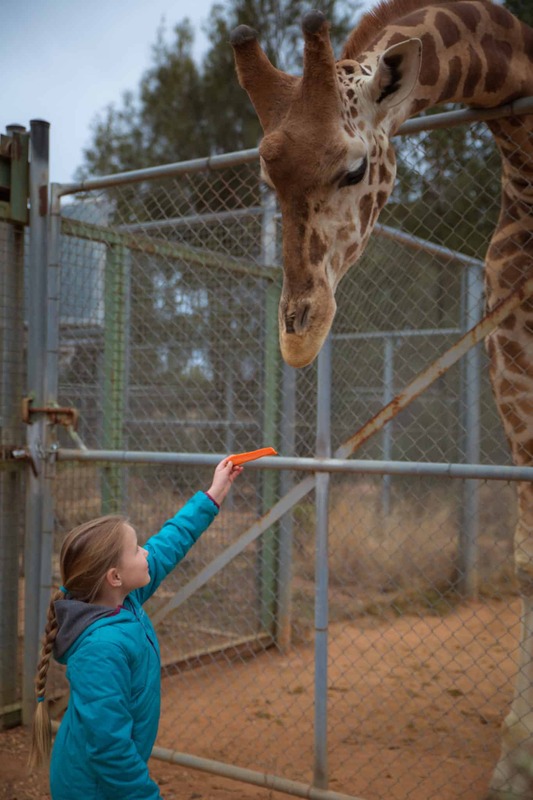 With fruit from the Guest House to bide them over until breakfast and rugged up against the August morning chill, they are wondering aloud what Dubbo zoo animals we would see first. The first stop did not disappoint. Long blue tongues ever so gently took the carrots we offer to them. Necks delicately bent over the huge fences. While hand feeding Giraffes we also learn facts and quirky information from their keeper. From the bumps on their heads to the way, they manage to get air down those long necks. Before we leave we all had to hold our hands up to show the Giraffes that every last carrot has gone. They decide they have seen enough visitors for the morning and stroll back to their business. After the buzz of the Giraffe’s we visit the White Rhino, Lemurs and see the elephants have their morning routine checks, pedicure and care. At each stop, we are shown again how much the keepers care for not only their animals but the welfare of wildlife everywhere. We learn how we can help make a difference and how the zoo is helping to support wildlife through breeding programmes at the zoo and by being part of worldwide conservation efforts. By the time we reach the Guest House again we are all well and truly ready for breakfast. Luckily for us, a huge buffet breakfast is provided. All the food is extremely fresh and hot. They serve new food out as soon as plates are empty. With so much choice ranging from pancakes, bacon, granola, yoghurt, cereal, eggs, and more everyone comes away bursting at the seams. We are all ready for another day of exploring the zoo. Sadly all good things must come to an end and check out of Zoofari Lodge is at 10 am. As we say thank you to the amazing staff at the lodge and have one last glimpse of the Savannah we pack up and make our way out. Knowing that we still had another full day to explore the zoo makes leaving such a unique and luxurious destination a little easier. Hopefully one day we will get to experience a safari adventure in Africa as a family. I am sure though that even then, the moments we saw Kangaroos hopping amongst Giraffes, watched Rhinos being fed their dinner or saw Lemur babies cuddle up to their mum will still be a unique experience that will never be repeated. Travel With Meraki – Find special and amazing experiences at destinations. Taking behind the scene tours or staying somewhere truly unique will create amazing memories that will last a lifetime. Long after you have forgotten costs, you will treasure moments you had together as a family. 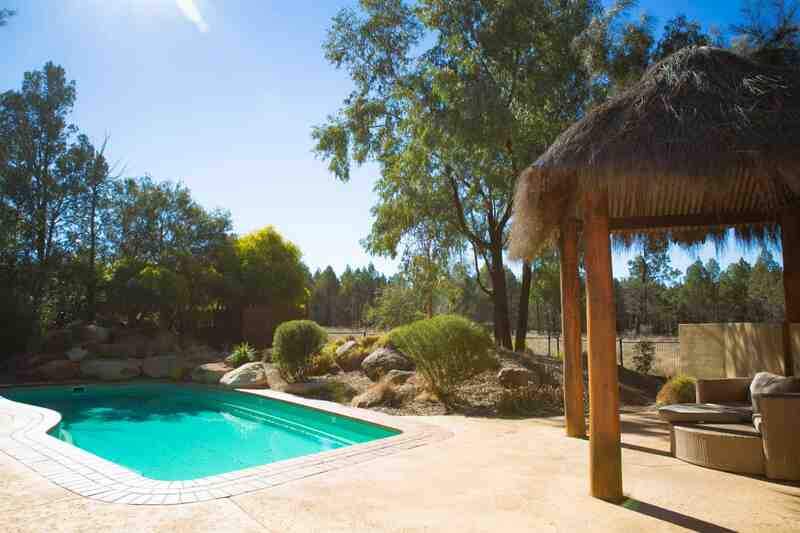 Finding Dubbo accommodation near the zoo may be cheaper but you will miss out on an amazing experience. 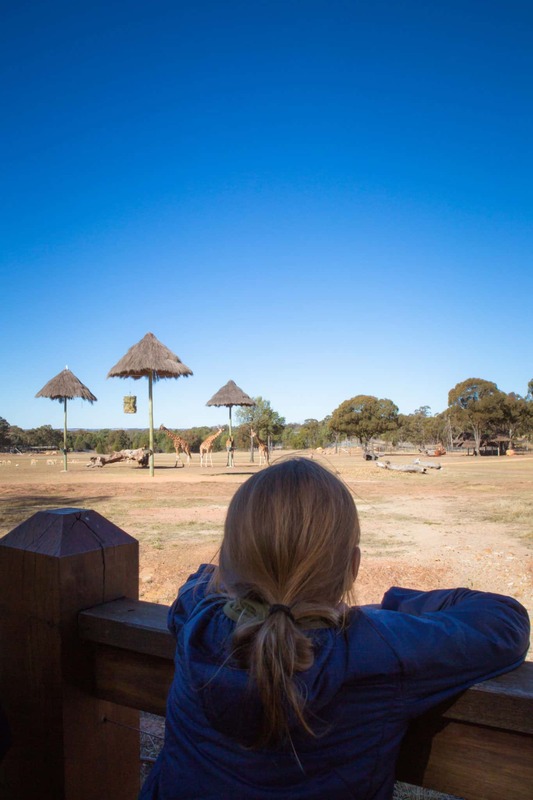 Western Plains Zoo is located on Obley Road, Dubbo in central west NSW. 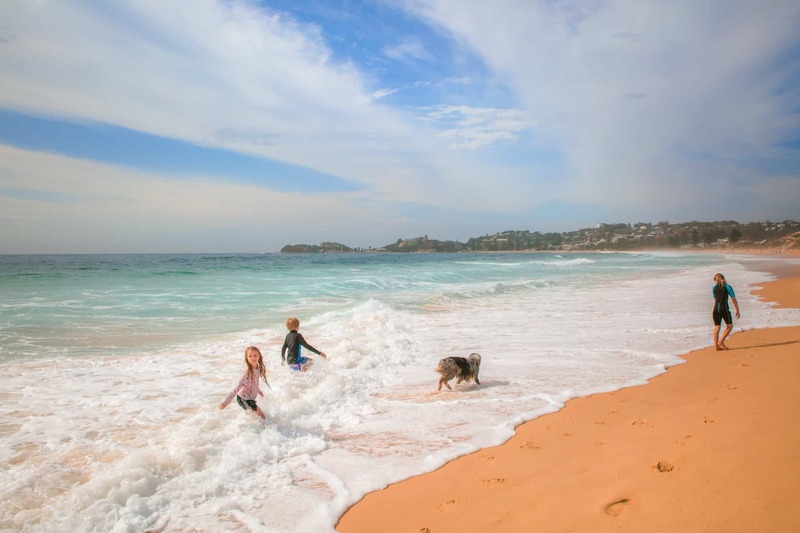 This is about a 6-hour drive from Sydney or Newcastle. You can also reach Dubbo by rail or fly into Dubbo City Airport. Animal View Lodges. These sleep up to four people, with a king split bed and sofa bed. 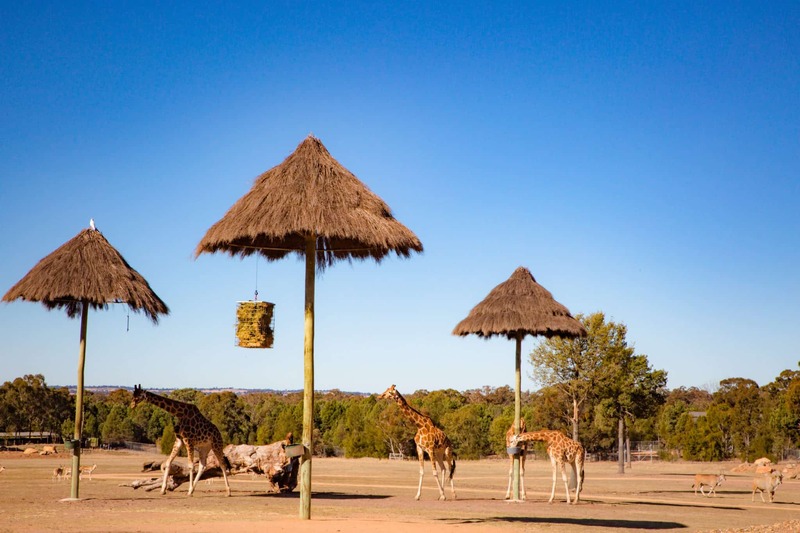 Dubbo zoo accommodation price can start from $309-$399 per adult/ $49-$79 per child aged 1 – 4 years old and from $149-$179 for kids aged 5 – 15 years old. 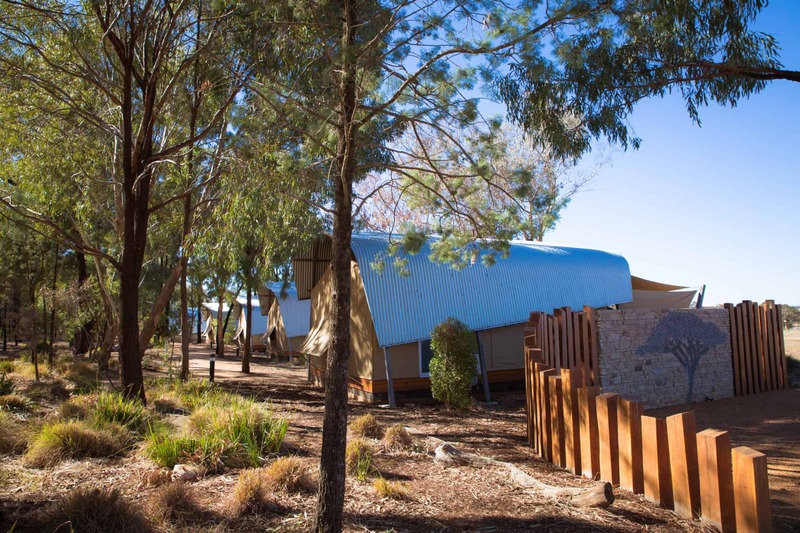 Bushland View Lodges. These sleep up to six people with a queen bed, two singles and a sofa bed. Rates start from $269-$359 per adult / $49-$79 per person for children aged 1 – 4 years and from $149-$179 for kids aged 5 – 15 years old.